Alright I thought it was about time I uploaded some of my new wallpapers here for you all to enjoy. Or that is I hope you enjoy them lol I know I have been falling behind! Nice work ^^ It's nice to see a sunset wall with all these night wall >.< Anyways, the fairy lights in the grass is a lil bit much, and doesn't really match the overall mood of the wall. But other than that, the leaves are a nice touch and give atmosphere to the wall :) Great wall :D !! My favorite character in SF and Rival Schools. The background is very good. I have an image of this sakura, but the bg is a little different. Thanks for sharing I love it. 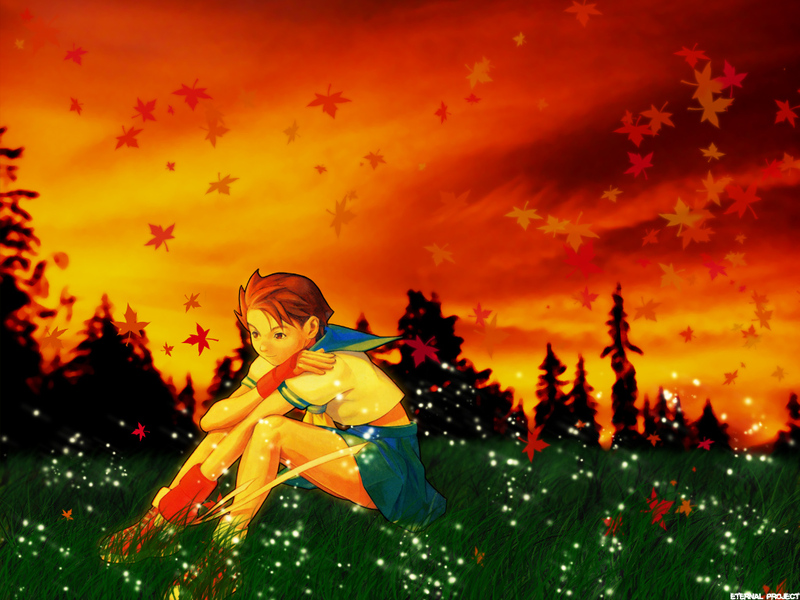 nice background picture of autumn with sakura just chilling! Thanks alot! !